William (Bill) Gilbert is currently a post-doctoral research assistant in Mark Shiflett’s laboratory. 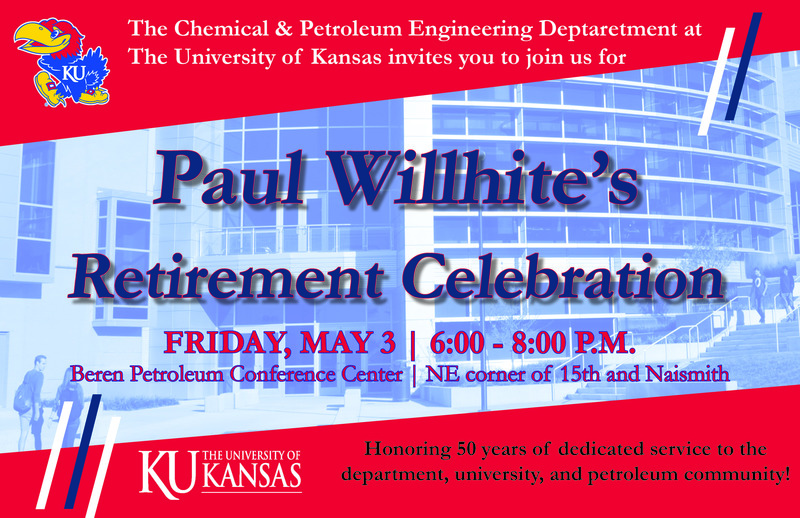 He received his Ph.D. from the University of Kansas, Department of Chemical and Petroleum Engineering in 2016. While pursuing a Ph.D., Bill received the Madison and Lila Self Graduate Fellowship and was a School of Engineering Graduate Ambassador. His graduate research focused on the development of a novel enzymatic method for degrading polyacrylamide polymer used in slickwater fracturing. Bill received a B.S. in environmental science from Haskell Indian Nations University and was named the American Indian Higher Education Consortium Student of the Year and the Midwestern Collegiate Athletic Conference Scholar Athlete of the Year. His collegiate work was interrupted in from 2003-2005 when he was deployed to Tikrit, Iraq, through the U.S. Army Reserve. Bill also participated in the Haskell/KU Bridge program and Post-Baccalaureate Research Education Program where he conducted cardiopulmonary physiology and polymer thermodynamics research. Gilbert, W. J. R.; Johnson, S. J.; Tsau, J. S.; Liang, J. T.; Scurto, A. M., Enzymatic degradation of polyacrylamide in aqueous solution with peroxidase and H2O2. Journal of Applied Polymer Science 2017, 134 (10). Gilbert, W. J. R.; Safarov, J.; Minnick, D. L.; Rocha, M. A.; Hassel, E.; Shiflett, M. B., Density, Viscosity, and Vapor Pressure Measurements of Water + Lithium Bis(trifluromethylsulfonyl)imide Solutions. Chemical and Engineering Data 2017, In Press. Minnick, D. L.; Gilbert, W. J. R.; Rocha, M. A.; Shiflett, M. B., Thermodynamic Measurement and Modeling of Vinyl Fluoride Solubility in Aqueous Lithium Bis(trifluoromethylsufonyl)imide Li+Tf2N- - H2O Solutions. Fluid Phase Equilibria 2017, In Press. Wacker, M.; Kosloski, L.; Gilbert, W.; Touchberry, C.; Moore, D.; Kelly, J.; Brotto, M.; Orr, J., Inhibition of thromboxane A2-induced arrhythmias and intracellular calcium changes in cardiac myocytes by blockade of the inositol trisphosphate pathway. Journal of Pharmacology and Experimental Therapeutics 2009, 331 (3), 917-924. Scurto, A. M.; Gilbert, W. J. R.; Liang, J. T. Enzymatic Compositions for the Degradation of Polymers. USPTO application number 62/378,482, 2016. Gehrke, S. H.; Berkland, C. J.; Detamore, M. S.; Aziz, V.; Danielson, L.; DeKosky, B. J.; Dormer, N. H.; Gilbert, W. J.; Guan, H.; Huber, P. A. In Improving the Mechanical Performance Hydrogels by Controlling the Nanostructure, 2009 AIChE Annual Meeting, 09AIChE, 2009. Howard, T. E.; Gilbert, W. J.; Hanke, J. J.; Wacker, M. J.; Orr, J. A., Characterization of thromboxane receptor expression in cultured sensory neurons. The FASEB Journal 2007, 21 (6), A1407. Kosloski, L. M.; Gilbert, W. J.; Orr, J. A.; Moore, D. S.; Wacker, M. J., 2-aminoethoxydiphenyl borate (2-APB) and gentamicin inhibit thromboxane A2 induced calcium responses in cardiac myocytes. The FASEB Journal 2008, 22 (1 Supplement), 751.10-751.10.